Y’all. Sugar free candy!!! Specifically, these almond buckeyes. This recipe and this post have got me SO excited. We’re gonna talk candy & goodies this Trim Healthy Tuesday. I’ve been a little nervous about the upcoming holidays. I mean, in years past, I really LOVED the baking and cookie making. We would make all kinds of candies, fudge, cookies, and sweets to enjoy here at home and to give away to family and friends. This year, after losing 50 pounds and having so much success on Trim Healthy Mama, I was feeling a little lost. How was I going to do the holidays without sugar? I mean, I’m not super experienced with the sugar alcohols, and baking with the gluten free, low carb flours. The results from what little experimenting I’ve done is pretty, er…experimental. Now, you may be wondering why I’m reviewing a Candida cookbook on Trim Healthy Tuesday. But don’t be put off by the word Candida in the title. Focus on the whole sugar free candy and cookies and pies thing. Both of the authors are experienced cooks who have been on the road to recovery from Candida, which happens to be a sugar free eating plan that requires low carb, gluten free flours. So we’re just on different roads to the same destination: trim & healthy sugar free treats! Bring. It. On! So this weekend, I had fun in the kitchen again, and it was just like old times. But a skinnier, happier, sugar free version of old times. I made both the almond butter buckeye recipe from the book and the classic peanut butter version. I secretly thought that the peanut butter version would be my favorite. BOY was I wrong! The almond butter ones really are the best thing ever. They remind me of cookie dough bites. SO yummy! I’m so very happy to be able to share sugar free treats with my friends and family this year. So let me tell you more about this cookbook: if you HAVE candida, or want to learn more about it, it’s an excellent resource. The Appendix offers tons of info on candida, and outlines an eating plan for recovery. And just look how pretty it is! There are photos of most of the recipes, and I love how they are formatted nicely for printing. Each recipe is on one to two pages, so it’s easy to just print the ones you want. If you are a Trim Healthy Mama like me, and the candida info doesn’t apply to you, then this is STILL a fantastic resource. The sweeteners used in the book are Xylitol and Stevia extract. 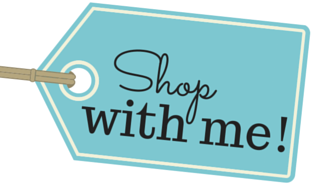 They include info on why they use these particular products, and even resources and brand recommendations. They also include baking tips and a shopping list: nice touches for those just learning about cooking with low carb flours and sweeteners! Now let’s talk about the fun part. The RECIPES! The book is packed with over 70 recipes for cookies, candies, snacks, bars, cakes, frosting, and drinks. I was very impressed with their innovate ways of using flavors, like the use of earl gray tea in these Snicker Doodling Cookies. After looking over the recipes in the book, I am really looking forward to getting back in the kitchen. In fact, here’s a peek at the recipes from the book: a free printable Sweeter Side of Candida THM Type Index where each recipe is typed as S, E, FP, or Crossover. Out of the whole book, there are only two recipes that are not on plan with THM due to the use of molasses. I did find that the technique of melting the butter for the Snicker Doodling Cookies caused my batter to be too thin to roll into balls. I remedied this by just sticking it in the freezer for a few minutes to firm up the butter. They worked beautifully. The cinnamon coating is just really delicious and flavorful. I added 1 1/2 tablespoons of xylitol to that as well just because I like the little crunch. The finished cookies are cake-like, and far tastier than any of my prior attempts at low carb cookie baking. My husband has been really, really excited about finding treats cooling on the counter when he comes home. The texture improves even more overnight after being chilled. I ate them for breakfast this morning…cold out of the fridge. They were AMAZING. The best part? These desserts can be enjoyed as part of your weight loss plan. Check out how the author lost weight while testing and eating two dessert recipes a day for a full month. I can’t wait to try the homemade chocolate chip/chunk recipe that uses real cocoa butter…you can even bake with them. And the chewy chocolate chip cookie will be the first thing I try with the chocolate chips. I’ve missed cookies. and very, very happy this holiday season! I didn't have raw almond butter, but I did have ¾ cups of Honeyville almond flour (or 1 cup whole almonds). Measure into a food processor or blender, and let it run for several minutes until it gets clumpy. Add butter, xylitol granules, salt, and vanilla and pulse to combine. It should be fluffy & creamy. Alternatively, simply mix almond or peanut butter with butter, vanilla, salt, xylitol, and cinnamon (optional). Using a small scoop, form balls, placing them onto a parchment lined cookie sheet. Freeze for at least 20 minutes, while preparing the chocolate coating. In a 2 cup measuring cup or taller bowl, cream room temp coconut oil with cocoa powder and add stevia to taste. Warm very slightly by microwaving for 20 seconds or by setting bowl in a warm water...*just* until cocoa mixture becomes liquid. Overheating the mix will make your coating very thin. My coconut oil had some small clumps, so I opted to strain those out for a smoother coating. Remove buckeyes from the freezer, and dip using a toothpick or fork- covering all but the top of the buckeye. Return to cookie sheet, and re-freeze/re-dip if desired. Store in the freezer, and keep chilled to serve. 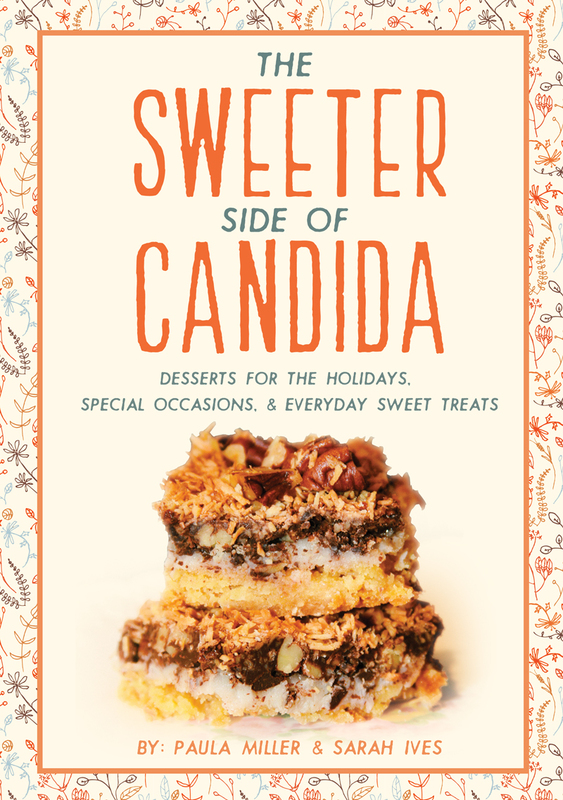 Generously shared with permission from the Sweeter Side of Candida Cookbook Links in this post are affiliate links. when does the raffle start? link said it had not begun, yet. Gwen….can I say I almost cried when the picture of the Pecan Pie came up??? Oh, to think that could be done and THM friendly….just brought JOY to my day!!! Gotta check this book out for sure!!! Thanks! Yummy! Can’t wait to try some of these. That pecan pie looks fantastic! Caramel pumpkin cheesecake is a personal favorite treat of mine at holidays, so I’m looking forward to finding one that is THM-friendly! Spritz cookies…. or possibly German Christmas bread… it’s a tough call. /nod. Looking forward to using this cookbook! Looks fantastic for the holiday season. My favorite treat is most definitely cookies! Thanks for the recipes! I love Egg Nog and am excited about a sugar free version and the buckeyes look delicious!! I’d love to get this cookbook! Looks amazing- thanks for sharing your find with us! My favorite holiday treats are spritz and ginger snaps! I hope I will be able to make THM versions this season. In the past my MIL has made Danish Butter Cookies that I have never been able to stay away from. I’m a little nervous about Christmas this year, since we will be spending it with the in-laws, and they make tons of sweets. Thank you so much for the THM-version index! I just bought this eBook last week and have it printed out and in my THM recipe binder, so I’m excited to start using it! I love my mom’s molasses cookies…great with some coffee! Pecan pie! So happy to see there is a thm version! This cookbook looks amazing! Can’t wait for the giveaway! I looove Buckeyes! Anything PB + chocolate, really. This cookbook looks fantastic! I’m going to try the buckeyes this afternoon. if I don’t win, I will have to buy this book. Thanks for the awesome recipe!!! my favorite holiday treat has got to be frosted sugar cookies, but I will be passing on those this year unless there is a THM friendly amazing sugar cookie recipe with frosting. My favorite holiday treat is: pumpkin pie! Yum! Pecan pie and ice cream sounds like Thanksgiving to me.. and sweetpotato pie! My favorite holiday treat is either Thumbelina Cookies or Pumpkin Pie. My favorite THM treat is the Martha Stewart Chocolate Crisp pie. It is coconut, chocolate and cream. What is there not to love! I am not sure what my favorite Christmas treat recipe will be but I have loved and missed Pecan Pie. I am excited to see they have included a pecan treat. It may become my new favorite. My favorite holiday treat is pumpkin pie, especially cold, in the morning, with whipped cream, for breakfast. Hi, Gwen! This book looks fabulous! Thank you for sharing! My favorite holiday treat is Almond Roca. :o). I have a question for you. if that’s ok? I noticed in your review of the book above that there were two recipes you can’t use because they have molasses in them. I remember seeing a post a couple weeks ago about homemade brown sugar that calls for blackstrap molasses. I thought Pearl said it was ok because such a small amount was used. Is there a larger amount used in the recipes in the book? Is that why you can’t use them? Thank you for your help! I love your blog! Fudge is one of my favorite treats. We only make it for New Year’s Eve and look forward to it every year. THANK YOU for reviewing this book! What an exciting book to help our THM journey! I would def. LOVE to add this to my cook book collection! Yummy!!! I was worried about making THM recipes for the holidays… this book looks awesome! My favorite holiday sweets are carmels! I”d love to have this cookbook. IT sounds awesome. Thanks for sharing. My most favorite holiday treat is fudge and I have been dreading trying to avoid the real thing at Christmas! I will have to try some THM alternatives! Would love to see that Pecan Pie Recipe by Thanksgiving. I haven’t had Pecan Pie in YEARS! I looove pb or almond butter ANY thing. My favorite treat is eggnog! Looks great!!! My favorite holiday treats are gingerbread cookies! I love buckeyes and look forward to trying this recipe! I’ve lost over 30 pounds on THM and love that this cookbook is so compatible with it. Oh yum! I don’t know if I can pick one favorite dessert though :). Something chocolate for sure ;). My favorite holiday treat is a cookie called Sandies. They are a shortbread cookie with pecans and they are rolled in powdered sugar. Wow. I’m hoping the buckeye cookies you’ve shared will help me resist. Thank you! I’m drooling! I can’t wait to try some of these recipes, especially the snickerdoodles! And ginger snaps….and the BUCKEYES! I was born in Ohio so Buckeyes have always been a part of me. I’m really happy at the thought of being able to keep making them for the Holidays! Pecan pie is my favorite. It tastes so good and I hope to be able to make it healthier. WOW! Pecan Pie once again–I can hardly believe it! I so want to win this book, but if I don’t, I will get the softcover edition when it comes out. I love this Tuesday THM stuff. I am so glad you are continuing it–I signed up for your emails/blog just because of the Tuesday “stuff”. Thank you for all your recipes and hard work on this. My favorite holiday treat is probably spritz cookies! Cream cheese cookies are my favorite! Gwen, your recipes are always soooo good! You have a spirit of sharing, and make the THM journey so much sweeter. My favorite holiday treat – anything pumpkin! I’ve been off sugar for over five years, so I don’t typically eat holiday desserts. This world of stevia and other sweeteners has been very eye-opening and new to me. Thanks for reviewing this book! Wow, this looks like an amazing book! All the pictures you showed look wonderful! If I don’t win, I may have to order this book! Thanks for previewing and sharing with us! My favourite holiday treat is Nanaimo bars (pretty sure they are Canadian so you may not know them). Also I made the buckeye balls (more buckeye blobs) today and they are seriously FANTASTIC!! Very much enjoying them here 😀 so thanks a bunch. I now LOVE Tuesdays!! Thanks for making over a Ho Hum Day! What a wonderful cookbook to have! II can hardly wait for the PECAN PIE… this southern girl will be in ‘hog’ heaven. Thank you for trying new things and letting us in on how wonderful they are. I love that it saves me time! Homemade caramels are a favorite of mine. Buckeyes/peanut butter balls are my husband’s favorites. My kids love cutout Christmas cookies. This cookbook looks like a WONDERFUL way to enjoy the holidays guilt-free! We love to bake all kinds of cookies and treats for the holidays. We enjoy eating them as well as sharing. Buckeyes are actually one of our favorites. This looks like an amazing resource. Thanks! I love peanut butter balls! This cookbook looks amazing! My favorite holiday treat is buckeyes and I am so very excited to see this version that I can use this year!!! My favorite holiday treat is cookies!!! 🙂 This is my first Christmas doing THM, so I’m excited to see how this goes! I’m so thankful that you’re running this giveaway so that I can indulge my sweet tooth and show appreciation for my body at the same time! One of my favorite holiday treats/cookies is Tropic S’prizes my grandma always made for Christmas and we made till we went gluten free for two of my siblings… I’m really hoping that there will be a recipe that will work so we can make them again! Pecan pie, or bars are the best. My favorite holiday treat: Pecan Pie…haven’t had a piece in forever that fit the way I am eating. The Peekin Pecan Pie looks great. The Snickerdoodles, too! We always make St. Nick Cookies and Chocolate Crinkle Cookies (with white powdered sugar on top. These desserts look amazing. I made cookies with almond flour last Christmas and they were quite tasty. Would love to add this cookbook to my collection. This might be a double comment but I can’t find where I commented to do the rafflecopter. I just wanted to say the recipe I would like to try more than any is the pecan pie. Looks so yummy that it is mouthwatering. 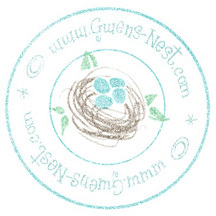 Thanks Gwen and to the authors for this giveaway. My favorite holiday treat is my masterpiece I’ve made every Christmas morning since I was old enough to help cook in the kitchen and that would be Monkey Bread. So that is one thing that I definitely am curious about trying to adapt a THM version of! Oh, I grew up with that for special occasions! That would be a great one to play with! Wow! This cookbook looks amazing! Thanks for telling us about it, Gwen! If I don’t win it, I’m going to need to buy it! I would love to make the pecan pie this Christmas! My favorite holiday treat is pecan pie….my step mom has the best redipe. She got this from her Mother and whenever I make this I am always asked for the recipe. Hope to find a good LC pecan pie recipe. Drooling. Thank you for sharing that. Thank you for making your recipes printable. You’re SO welcome. 🙂 I have a recipe binder, so I knew when I started a blog that I wanted printable recipes.